If you’e looking for Brighton primary teaching jobs you’ll love, give Supply Desk Brighton a call. Supply Desk Brighton Primary places teachers and school support staff in short-term, long-term, supply, fixed contract and permanent jobs across hundreds of primary schools in the region. From our Hove office we are able to offer onsite training and career development to our teachers. The team would be delighted to discuss the current Brighton teaching jobs, Brighton teaching assistant jobs, and other Brighton support staff roles we have available. The area offers a huge variety of schools and academies and is home to both some of the most and least affluent areas in the UK, ensuring it is about as diverse as you can get, and offers some of the largest choices of positions outside of London. Transport is very good within the area, the main lines to London offer speedy travel to the capital and one of the UK largest airports, Gatwick is around a half hour drive away. Brighton offers perhaps the most diverse mix of lifestyles found anywhere in the UK, a vibrant City and world class university, a traditional seaside resort and only minutes away are quaint villages and country pubs nestling on the many riverfronts. Are you looking for secondary school Brighton teaching jobs, or support staff jobs? Are you looking for secondary school staff? Click here to reach the page of our Brighton Secondary Team. Call our Brighton Primary team now on 01273 609 993, or register at the link below, and take the first step in securing your perfect next primary school job in Brighton, East Sussex or West Sussex. Paul Tricker Branch Primary Divisional Manager and lead for Brighton, Hove and East Sussex Primary Schools. 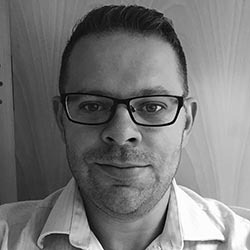 Having joined in 2006, Paul now has over 10 years sector experience with Supply Desk. Working with over 70 client Primary Schools in Brighton and Hove and East Sussex. Paul has superb knowledge of the education recruitment market and has Experience of recruiting for a wide range of vacancies from day to day supply to managing a school’s permanent recruitment. Paul is passionate about Client and Candidate service and the exclusive agreements he has with both reflects this. Ryan Simmons Principal Consultant and Lead for West Sussex Primary Schools for Supply Desk. Ryan has successfully worked as a consultant for Supply Desk for the last 7 years. 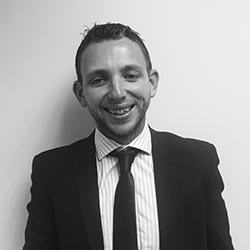 Ryan is a dedicated and hard-working recruitment consultant whose activity goes above and beyond expectations in order to achieve success. Ryan has built long lasting partnerships with schools and candidates alike and always strives to match the best candidate to the school . Ryan is a true team player, who is always willing to spend time helping colleagues with their work. Catherine Ray Account Manager and Primary Branch facilitator, Catherine is passionate about customer care. During her 4 years at Supply Desk she has continuously demonstrated this in supporting not only clients and candidates alike but also the Branch Manager. Catherine is often the first contact with the company for our candidates and has received numerous compliments on her professionalism and the assistance she provides. 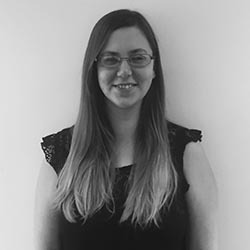 Megan has recently joined Supply Desk and is new to the education sector. 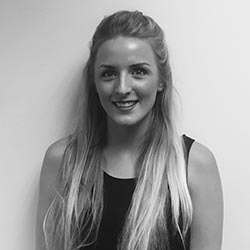 Megan has a strong background in sales and customer service and will be working closely with the rest of the Primary Team to provide the best service to our client schools and candidates alike. We are sure Megan is going to be a real success story!